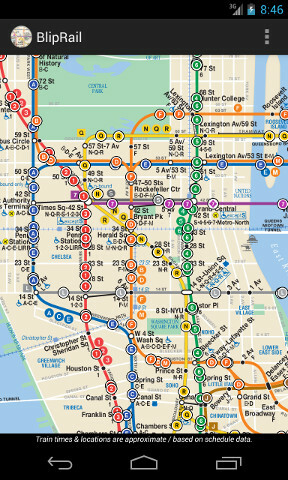 This is the NYC Subway Map like you've never seen it before! on your way and keep you moving. BlipRail is currently free of charge. Find the information you need quickly without having to wait to download maps or schedule data. Once you download the app, all the data you need is already on your device. We all know that trains don't always run on their published schedules. BlipRail lets you report when a train is running behind or ahead of schedule (and by how much). By selecting a train, you can see what other people reported so you have a better idea of what to expect. Watching trains on the map can be mesmerizing. View only the part of the map you want to see by using standard scroll, pinch and zoom gestures with your fingers. 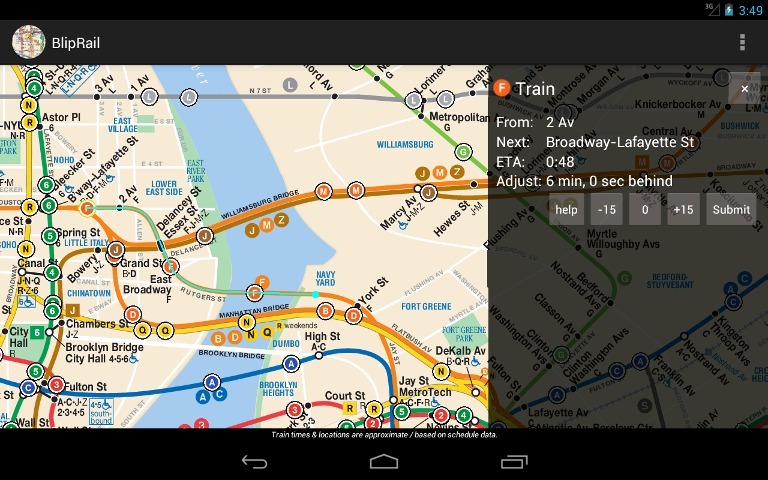 If you have Android App updates turned on, you will automatically get map and schedule updates from BlipRail when they are available. 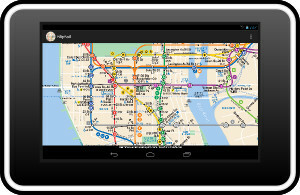 BlipRail is compatible with both Android phones and Android tablets. © 2013 Mark Roth. Train times & locations are approximate / based on schedule data. BlipRail is a trademark of Mark Roth. Android is a trademark of Google Inc. 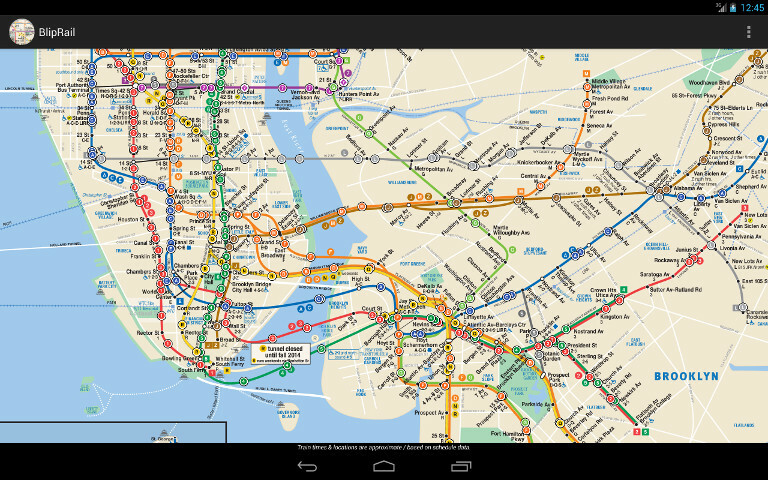 Subway Map © Metropolitan Transportation Authority. Subway route symbols TM or ® Metropolitan Transit Authority. Used with permission.